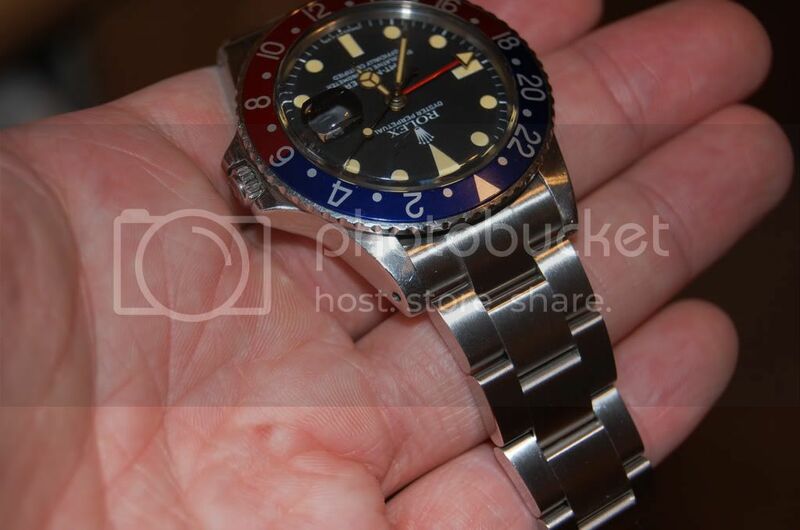 Orchi believes these are Rolex Ref 16750 GMT Master Dial Variants..+pics. FIND that Field at the bottom listing. even though...you may have not experienced it...just yet. in the relevant Forum...would be uploaded n "RE-APPEAR" again. I was thinking of wearing the hell out of it for a while before sending it off to RSC. These is a picture of a 9927xxx serial , does this mean that this would be an aftermarket dial as it does not have the wg rim around the hour markers ? The hands seem to match the age of the watch , but not the dial . I'm I right to assume that ? What's happening? Since you said the S/Nos. is 9.9mil...? My sincere apologies , my fault entirely : let me correct the following : serial is 2997xxx . Here is mine. I had no idea the dials had this much variety. Mine is a 7.1mm serial number. It looks like the second variant to me. OMG...i'm a super noob and I can't believe there are so many variations. 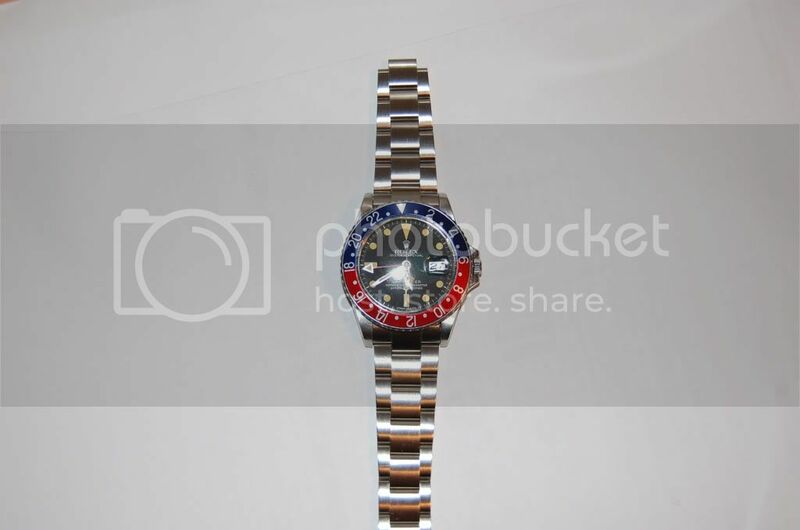 Orchi, in true sincerity, your knowledge of Rolex to the minute detail is amazing. Here's my 7.25m series 16750. 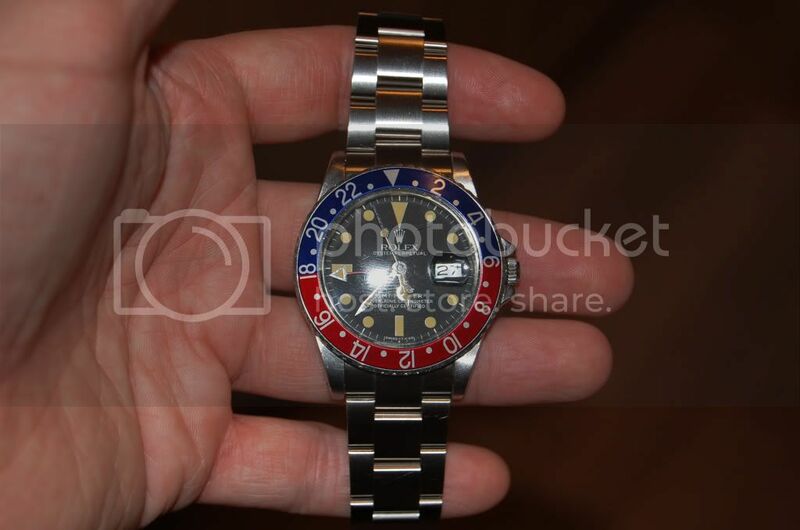 This is an all orginial GMT I bought a month or so ago. 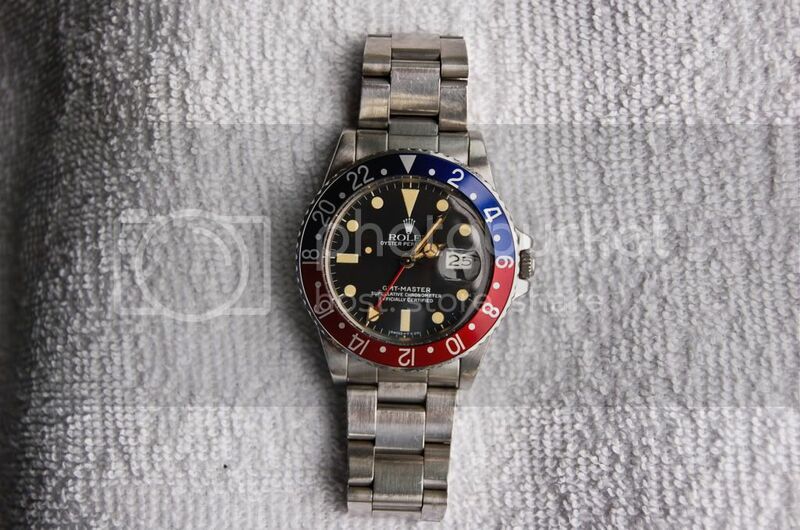 Hands, dial, bracelet, bezel ring, case, all untouched. Any marks on the pictures are crystal scratches or sensor dust. Very good information, but I am a little confused now. 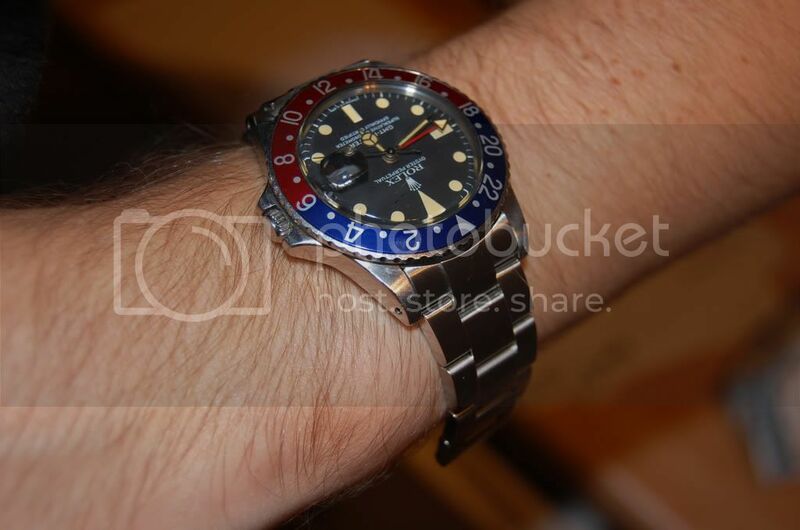 I have a 7.44 million series 16750, and it has a MKII dial. 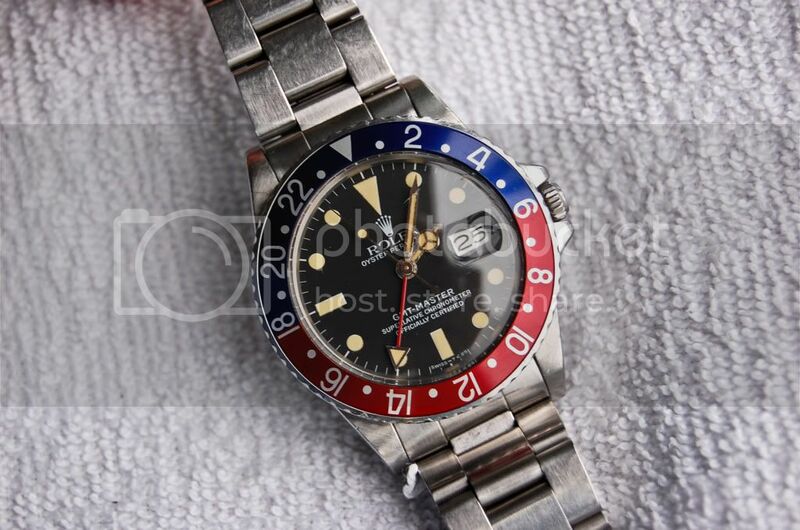 Is it possible for this dial to be original to the watch, or is it a replacement? From my readings on the internet, I believe both MK1 and MK2 dial are used from 6.2m s/n to WG era. We have seen MK2 in 6.x and 7.x s/n, likewise, we have seen MK1 on 6.x and 7.x s/n as well. 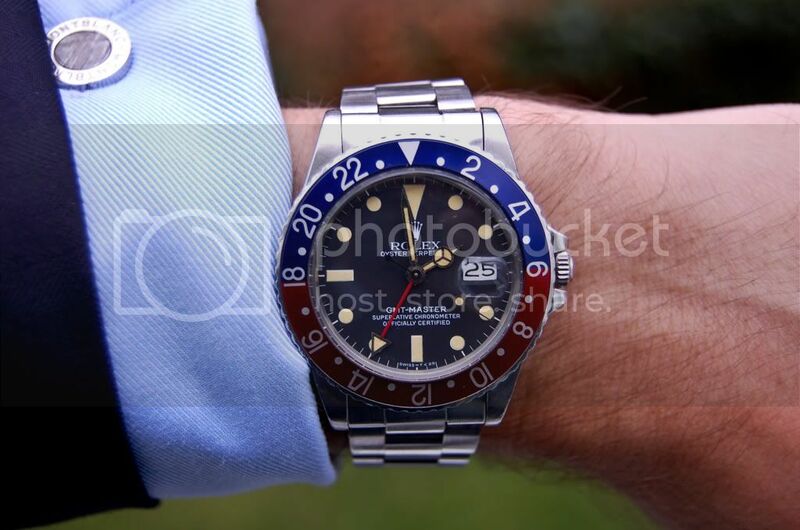 Possibly Rolex had two dial variations during that period of time. Another thing I noticed is, there are lesser MK1 dials as compared to MK2 dials. Great information guys, thank you!!! 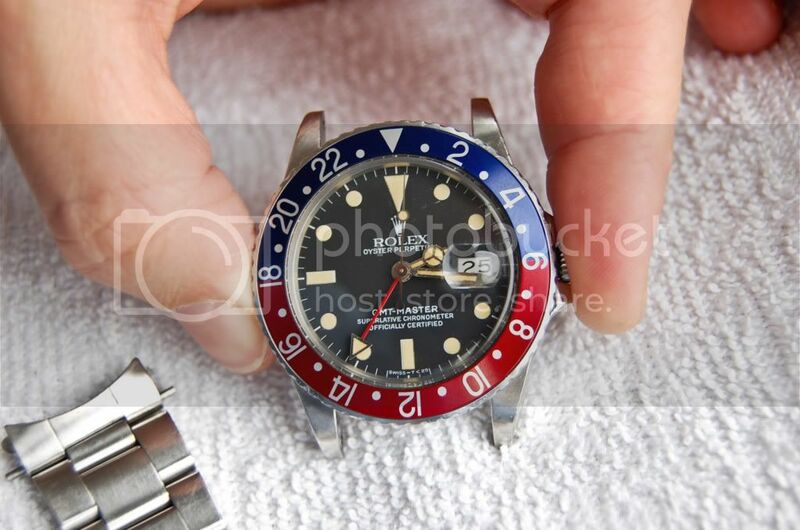 I am about to a 16750 and have the option of a matte dial MK2 or gloss dial MK5. Both are with box and punched papers. 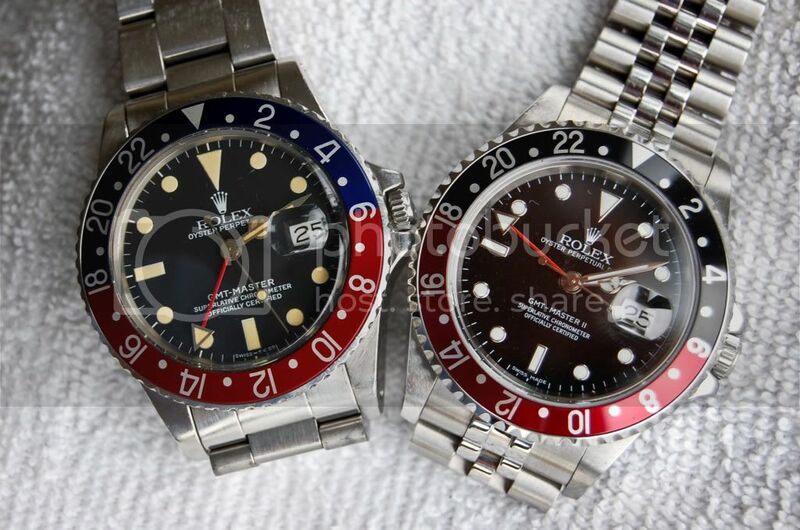 Both are in excellent condition throughout, case, bracelets and bezels are great on both. I need your unbiased opinions as collectors please. 1 - The matte dial has relumed hands that match the tritium dial patina perfectly, the only way i could tell was to hold the UV light on it. 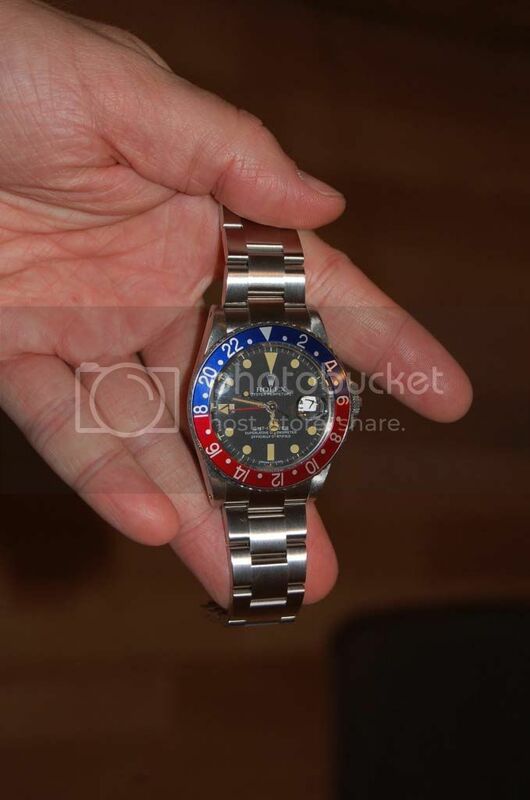 2 - The gloss dial is all original and with matching tritium dial and hands. Which would you go for and why? I can only buy one of them, the price is nearly the same between the two of them. Appreciate your answers very much. Matte. Always worth more (in the order of $3K). 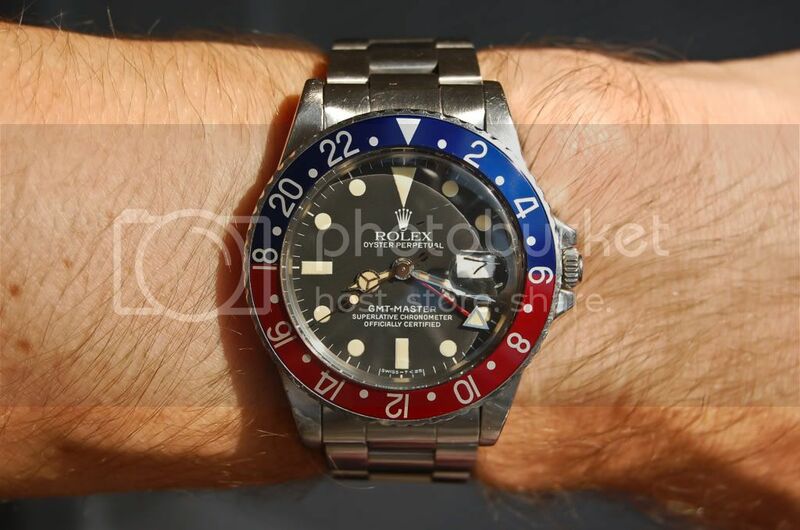 Does anyone think that relumed hands that match the tritium dial perfectly is an issue? Only way to tell was to hold a UV light over them. Is it a deal breaker or not?